Third string running back D.J. Morgan tweeted this morning that he is having “minor knee surgery” and will be out three to four weeks. Morgan did not hurt his knee in the game but has been dealing with significant swelling the past few months. 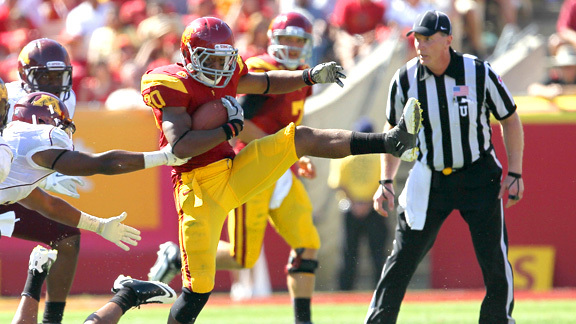 The Trojans depth chart at running back is now Curtis McNeal, Silas Redd and Buck Allen.